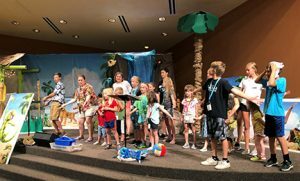 Vacation Bible School – ROAR! When: June 17-21, 9:00 a.m.-12:00 p.m.
Register: Register by June 12 by 4:00 p.m., after this date you will be placed on a waiting list. Click here to register. Incarnation will set out on this epic African adventure that will engage the whole herd. At Roar, kids explore God’s goodness and celebrate a ferocious faith that powers them through this wild life. Each day from 9:00 a.m.-12:00 p.m., one memorable Bible Point is reinforced throughout each station – making it easy to apply long after VBS is over. Click here to learn more about the volunteer opportunities for Vacation Bible School. When: July 9 and 10, 9:00 a.m.-11:30 a.m.
Register: Register by July 3 by 4:00 p.m., after this date you will be placed on a waiting list. Click here to register. Creative Journaling is a wonderful way to connect with God’s word. As youth participate in creating a journal and personalizing it with scriptures and designs, they will be guided each day on how to use their journal in their daily lives. Creative Journaling is July 9 and 10 from 9 – 11:30 a.m. When: July 17, 8:00 a.m.-4:00 p.m. Cost: $50; $35 paid to Camp Wapo and $15 paid to Incarnation for transportation. Register: Register online by July 3 by 4:00 p.m. After this date, you will be placed on a waiting list. This is a great introductory way for children to experience Camp Wapo and Wapo staff for a day! The group will gather at Incarnation at 8:00 a.m. and travel to Camp Wapo. At Wapo One Day the kids will experience chapel, snack, games, devotion, tour cabins, play large group games, eat lunch (provided by Wapo), arts & crafts, water games, gaga (ball), canteen, and then head back to Incarnation by 4:00 p.m. Incarnation staff will also be present. If parents are interested in helping out with this day, you are welcome to join us for Wapo One Day! Volunteer parents will need to transport themselves. Cost: $175; $50 deposit due at registration; total payments due to Camp Wapo by June 18. Register: Register online. Priority deadline is March 15. After this date, you may be placed on a wait list. This action packed weekend for Wapo’s youngest campers begins with check-in on Friday, July 13 from 3 – 4:30 p.m. and concludes with closing worship at 12:00 p.m. on Sunday, July 15. Knowing that this may be some kid’s first camp experience or even their first time away from home, Camp Wapo counselors will spend every moment with these campers. They will provide a safe and caring environment filled with music, Bible study, campfires, crafts, water activities and tons of games. Incarnation will not be providing busing to Camp Wapo. Register: Register online. Priority deadline is March 15. The week is packed with a variety of activities that are meant to impact kids for eternity. 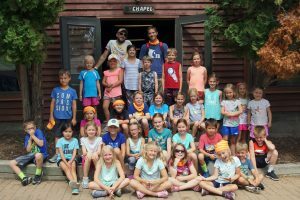 Each day includes Bible study, chapel, cabin activities, free time, field games, campfire. Closing worship is on Friday at 12:00 p.m. when family and friends are welcome and encouraged to attend. New this year, Clubs for an additional cost. Check those out on the Camp Wapo website. Incarnation will not be providing transportation. Register: Register in the Incarnation Office or online here by May 22. Summer Stretch is a weekly program for student participants and Youth Leaders. 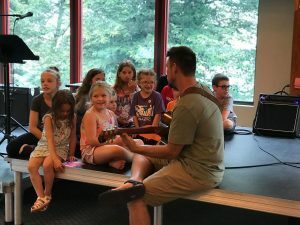 Summer Stretch’s unique programming offers opportunities to be in both service and fellowship within the community and provides an intentional leadership opportunity for high school students. Cost: $135, due upon registration. Registration material can be picked up in the Incarnation Office and are due back by May 22. You can also register and pay online using the links provided above. Click here to read the brochure. Register: Register in the Incarnation Office by March 15. Incarnation will be traveling to Milwaukee, Wisconsin this summer as a middle school youth group in partnership with YouthWorks Missions. While in Milwaukee we will help run a kids’ club, a vacation Bible school type program, and help with service projects around the reservation. This week is packed with a variety of activities that are meant to make a big impact! 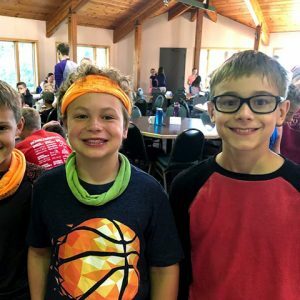 Each day includes Bible study, chapel, cabin activities, free time, field games and campfire. New this year, Clubs for an additional cost. Check those out on the Camp Wapo website. Incarnation will not be providing transportation. Summer Stretch is a week long program for student participants and Youth Leaders. 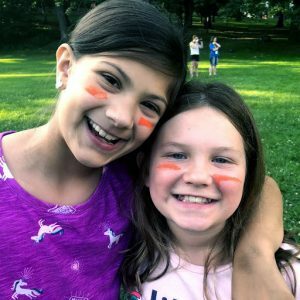 Summer Stretch’s unique programming offers opportunities to be in both service and fellowship within the community and provides an intentional leadership opportunity for high school students. More information and registration forms can be found in the Incarnation Office. Click here to read the brochure. High school students are needed to provide valuable leadership during Vacation Bible School (VBS). If you are interested in helping, please contact Kristin Bloxham. 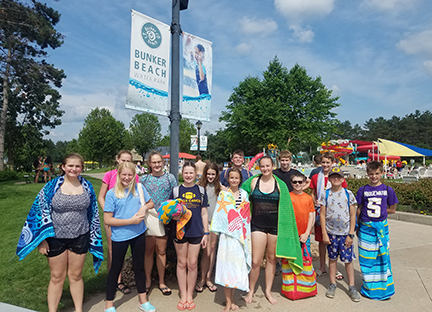 Vacation Bible School youth leaders are invited to Bunker Beach following VBS on Wednesday, June 19. Cost: $20 and includes admission and transportation. 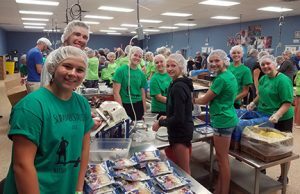 The group will return to Incarnation at 4:30 p.m.
Incarnation will be traveling to Milwaukee, Wisconsin this summer in partnership with YouthWorks Missions. While in Milwaukee we will help run a kids’ club, a vacation Bible school type program, and help with service projects around Milwaukee. Because of the current political climate in Haiti, Incarnation’s Children, Youth and Family Staff has decided to cancel the Youth and Family Mission Trip to Haiti that was scheduled for the summer of 2019. This decision was not an easy one to make, but it is felt that this is the best decision with the information we have about the current unrest in Haiti. A new and different Family Mission Trip opportunity for the summer of 2020. 9th – 12th graders are now welcome on the Milwaukee Mission Trip taking place June 23 – 28! Please contact Kristin Bloxham or Rebecca Christiansen for more information about the decision about the Haiti Mission Trip. Register: Register online. Incarnation’s guaranteed spots are full. When registering, you will be placed on a waiting list. After March 15, you will be added based on camps availability. This program provides High School youth the opportunity to dig deeper in faith while growing in relationship with their peers. Each day will include Bible study, prayer practices, caring conversation, service opportunities, worship, games, and community building. High School campers will spend the majority of their time at Ox Lake while also participating in some activities at the Wapo site. Come enjoy the fun and excitement of camp catered to Senior High Youth! Incarnation will not be providing transportation. Register: Register online by April 14. 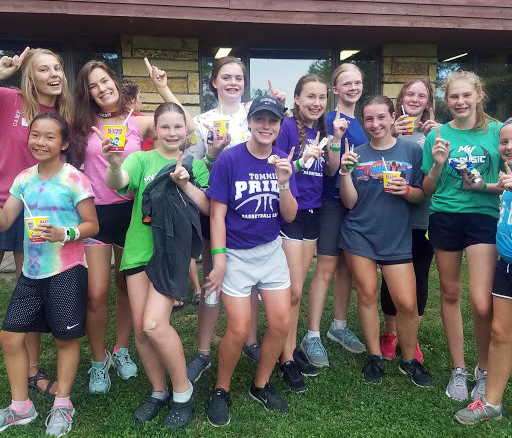 This program provides Senior High youth an opportunity to grow in faith and leadership skills by working with younger campers. Those participating in the Servant Leadership Program (SLP) will be housed in Wapo youth cabins, trained to assist Wapo counselors in leading a variety of activities while also being coached and challenged by an SLP counselor. This experience is ideal for those demonstrating maturity, commitment and joy in working with younger kids. This program is limited to seven students each week. Those interested must submit an application with references by April 14 (found on the Camp Wapo website.) The Wapo program team will contact you within two weeks after reviewing your application. Cost: $455; $100 due at the time of registration (non-refundable, non-transferable). To register, click here. Register: For more information or to register click here. 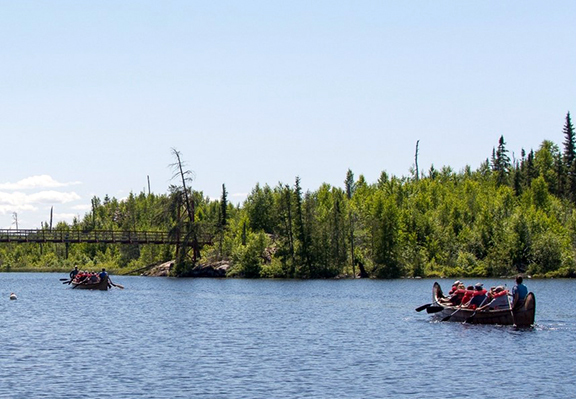 Want to go on a Wilderness Canoe Base trip by yourself, with a couple friends or your family? WCB is now offering Open Canoe Trips that allow individuals, or small groups, to experience the fun and beauty of the Boundary Waters without the need to register with a full group. Cost: $2,250 (includes flight, in-country expenses, and program fees. This does not include passport fees, vaccinations, or in-country lunches.) $200 deposit due at registration. Register: Registration deadline is March 15. After March 15 you will be placed on a waiting list. Registration materials and more information can be found in the Incarnation Office. Incarnation will be partnering with Reiser Relief to serve the people of Haiti on our very first youth and family trip to Haiti. This trip is open to individuals (15 year or older), families or parent/child (minimum age is 13). While in Haiti we will deliver clean water to the people of Cite Solei, care for the elderly, learn about what Feed My Starving Children is doing in Haiti, and visit orphanages. Click here more information. Click here for a Haiti information packet. Cost: Children (ages 3-11) $137 per child; Youth (ages 12-17) $197 per youth; Adults (ages 18+) $227 per adult; Maximum per family $750; Full payment is due July 16. Register: Register online by July 16. After this date, you will be placed on a waiting list. $50 per person deposit due at registration. Have you ever wanted to find an opportunity to experience the Boundary Water Canoe Area but the thought of doing it yourself is exhausting? 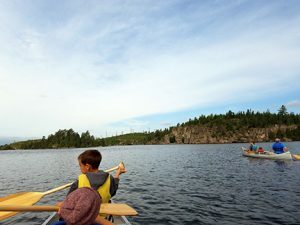 Spend a purpose filled long weekend canoeing, hiking and experience God’s creation in the BWCA. This event will be led by a team at the Wilderness Canoe Base (owned and operated by Camp Wapo). Join families from other churches to play, worship, learn and grow together. Each family can sign up for their own separate sleeping room and bathroom. Each weekend highlights a specific speaker and worship leader. Choose from artist and Rev. Paul Oman or Rev. Jason Roton. Space is limited, sign-up today! Incarnation Staff will not be present. 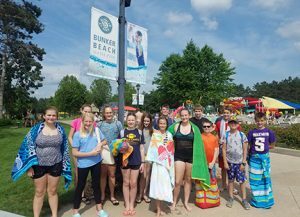 There will be two different fundraising opportunities for children, youth and families participating in any summer ministry opportunities. Butter Braids – Butter Braids will be sold individually with all profits from sales going directly to those who sold Butter Braids. We will not be selling on Sunday mornings. Butter Braid selling materials can be picked up on February 3 at the Camp Sunday table, or in the Incarnation Office. Selling forms and money are due to the Incarnation Office on Monday, March 4 by 4:30 p.m. Butter Braids will be delivered on Thursday, March 28 around 4:00 p.m.
“Wall O’ Money” Fundraiser – People from the congregation will have the opportunity to “purchase” an envelope ranging from $1-$150. They will then take the envelope and return it with the donation amount equal to the amount on the outside of the envelope. Envelopes will be “sold” on Sundays, February 10, February 17 and February 24. Interested in selling Butter Braids or participating in the “Wall O’ Money” fundraiser? Selling materials and shifts signups will be available on Camp Sunday, February 3 after all morning worship services. Selling materials and shift signups will be available on a first come first serve basis. Materials and signups will be available in the Incarnation Office after February 3. Scholarships are available for all ministry opportunities for those who are in need. Contact the Children, Youth and Family Staff for more information.